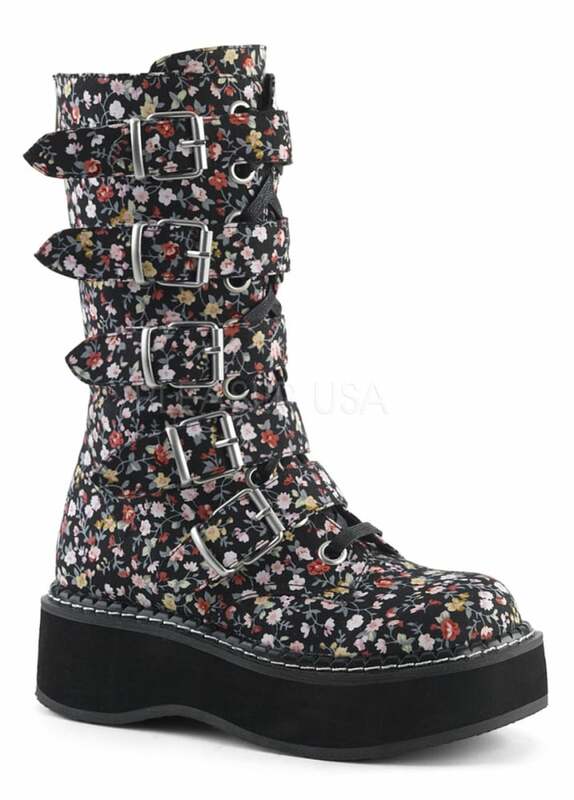 Channel your inner Riot Grrl in Demonia's Emily 340 Floral Boots. These alternative mid-calf boots have a flowery printed upper, lace up front, back zip and 5 buckle straps. The pastel goth boots also have a 2" platform sole.